Okay, so most of you know that indoor studio work is not my favorite as I prefer natural light and Mother Nature's backdrops BUT this little gal made it such a blast! I had her mommy send me a few pics of the outfits that she might be wearing...and I started digging through my assortment of props...Throw this in, might need that, Oh that's so cute...Before I knew it my car was completely full of possibilites. And on top of that, when I got there, Mommy had an assortment of her own!! So much fun! We converted the living room into a mini studio and we had the perfect mini model! She would almost "strike a pose" for me and then go about her merry cooing and playing. I think we ended up with about 6 outfits and 4 sets. This makes me completely excited about my in home studio which should be finished over the next few months!! love all these pictures amy! and i love how you're blogging them! so creative & cute. do you have a studio now? 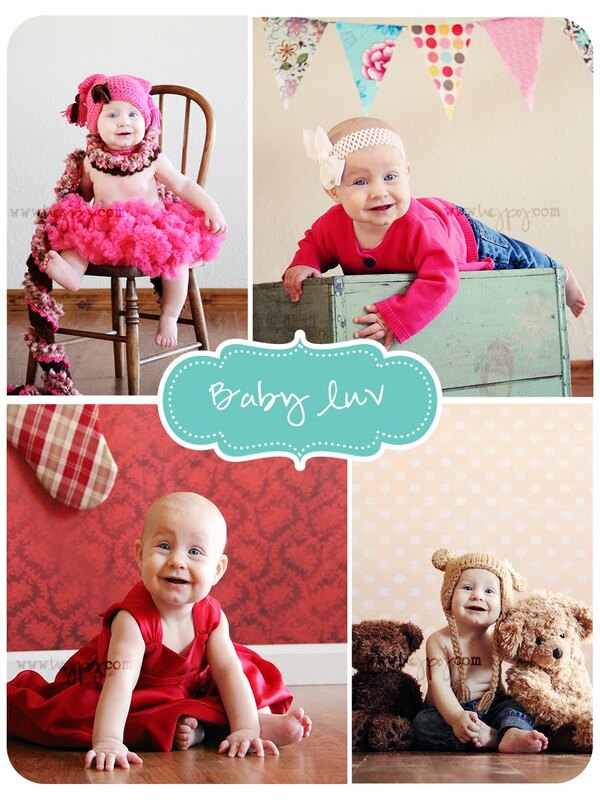 these indoor pics are adorable!